I have some GOOD NEWS… and some BAD NEWS! Okay, the Bad news is – YOU probably didn’t wake up this morning with all of your dreams fulfilled. THE GOOD NEWS…, You’re still alive, and you have another chance at LIFE, to experience some wonderful things. You have (((POWER))) to change your life… with FAITH that amounts to something no more than a mustard seed. FAITH can change your life. 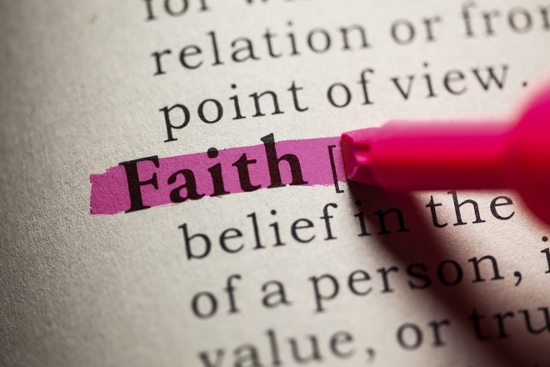 FAITH is one of those beautiful “Little things” about life. By Faith, you can change any negative situation in your life… simply by FALLING on your knees, LIFTING your hands, OPENING your mouth and CRYING out to GOD! But when you go to GOD… don’t go like you are afraid. No, no, no! Go BOLDLY before Him. Tell Him exactly what’s on your mind. And don’t get up and walk away from prayer in doubt… because that’s how you defeat yourself. You don’t need anything extra working against you… the enemy is already doing too terrible of a job, and sadly, he’s doing it terribly well. FAITH totally gets GOD’s attention. Therefore, if you dream of Doing something, of Having something, or of Being something… you have to take the right Spiritual steps first. Position your heart… and activate your faith. Then, take the Physical steps.